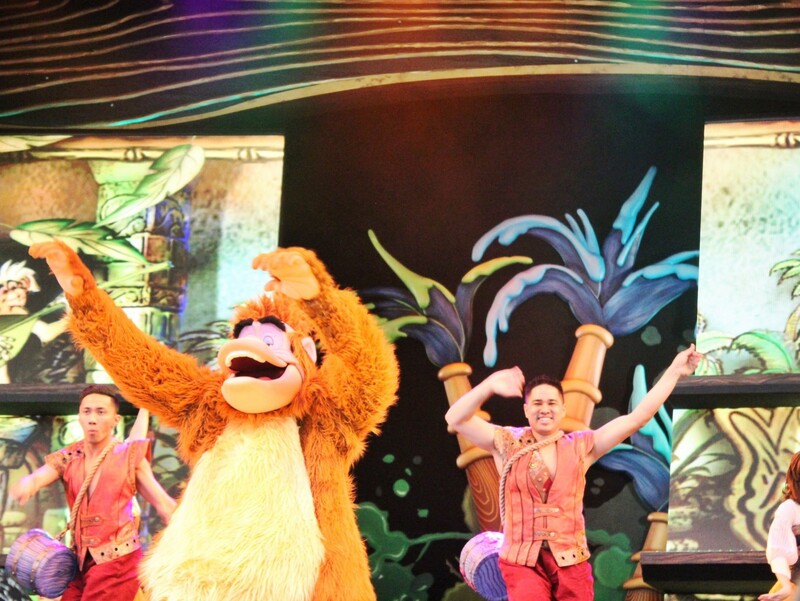 I had such a blast writing my Yak & Yeti Review (stay tuned, because I have a TON of Disney Restaurant Reviews coming soon) earlier this month, that I’ve decided to start sharing more Disney reviews/posts here on the blog. 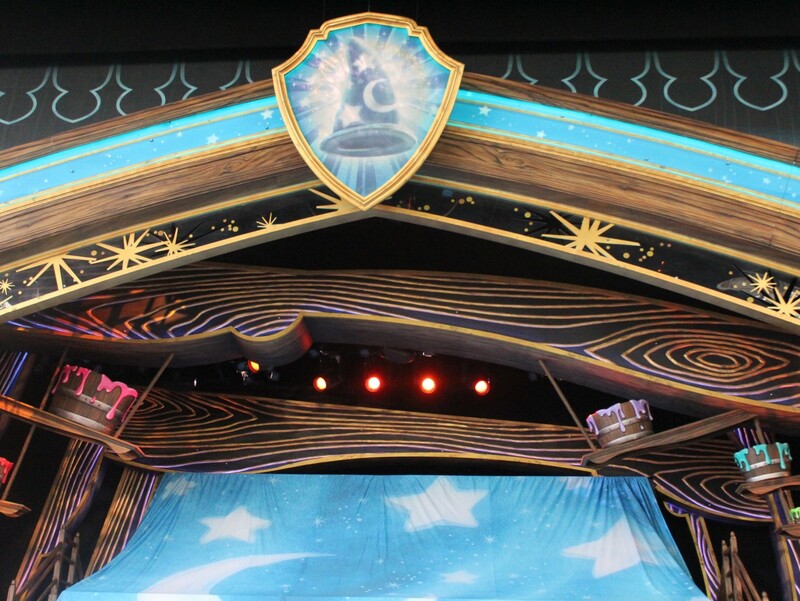 One of my goals this year is to incorporate more Disney on the blog, so I thought there’s no better time than the present. 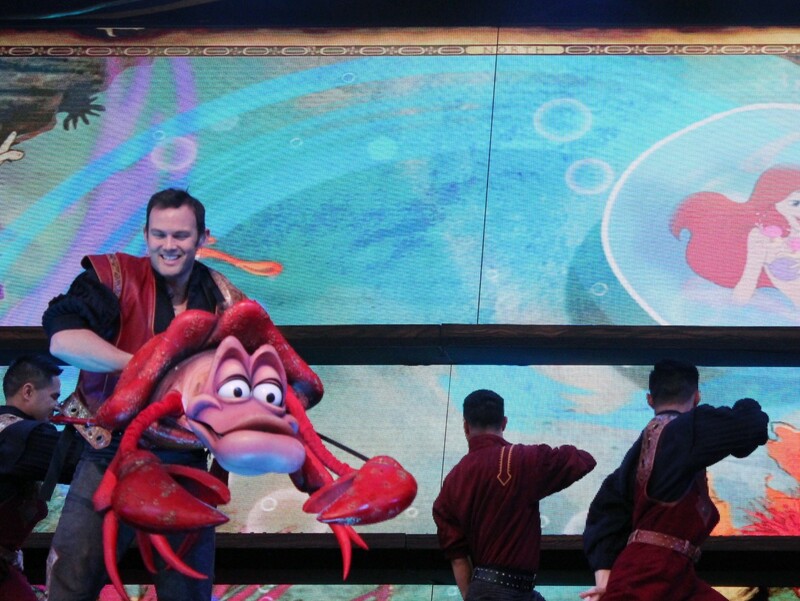 Like I said in my Yak & Yeti Review, Disney is not your typical “theme park” (I actually don’t even consider it to be a theme park). 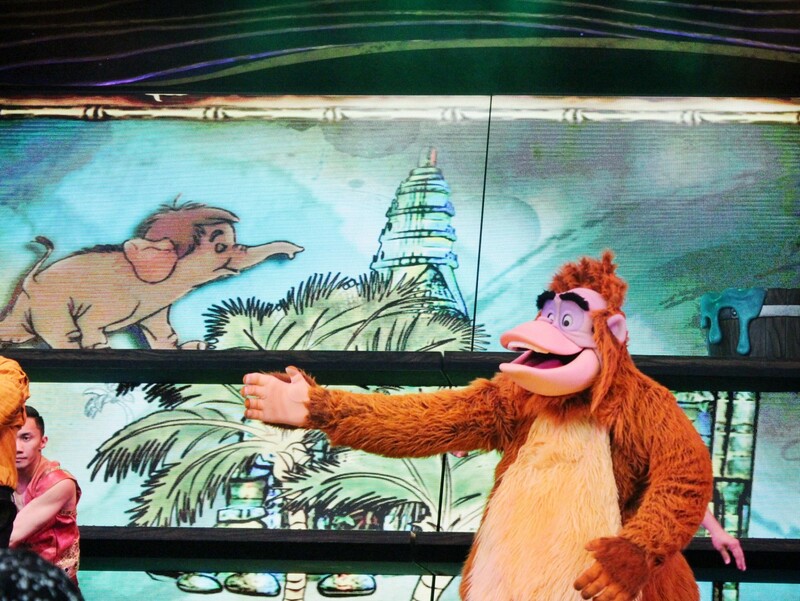 Disney is SO much more than just rides. 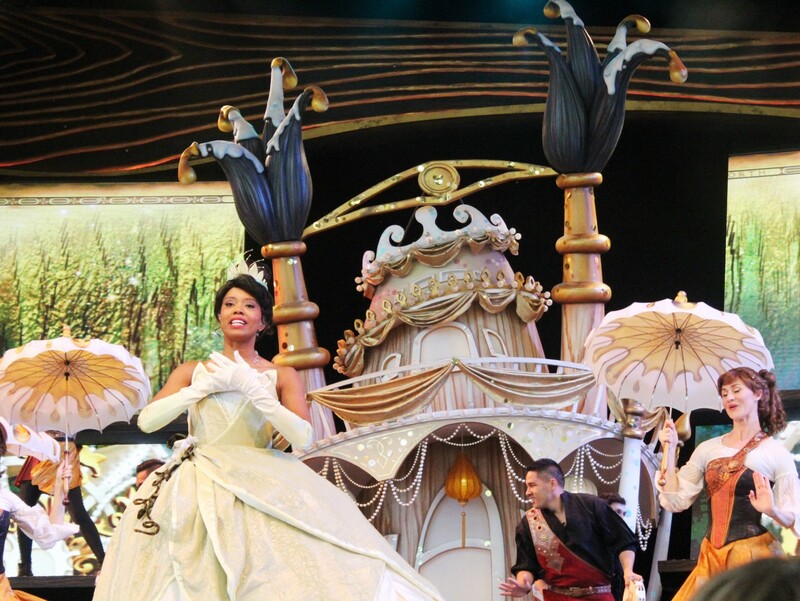 What makes a visit to the Disney Parks so magical is the Disney atmosphere itself and that atmosphere consists of rides, parades, shows, fireworks, shopping and of course, FOOD! 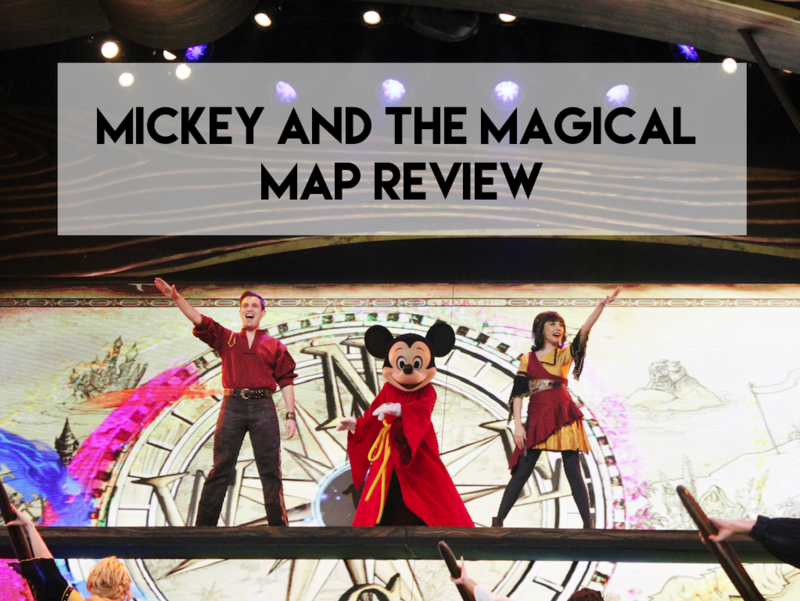 Today, I’ll be talking about one of my favorite shows at Disneyland: Mickey and the Magical Map! 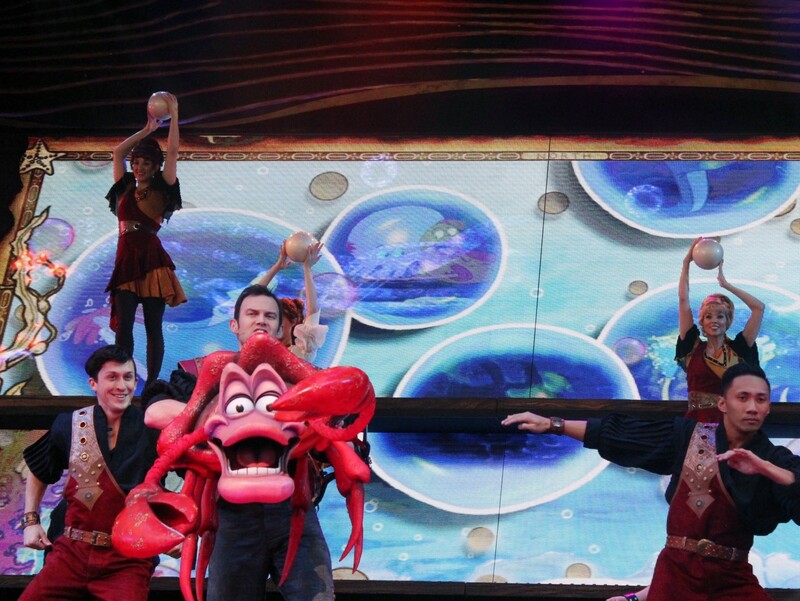 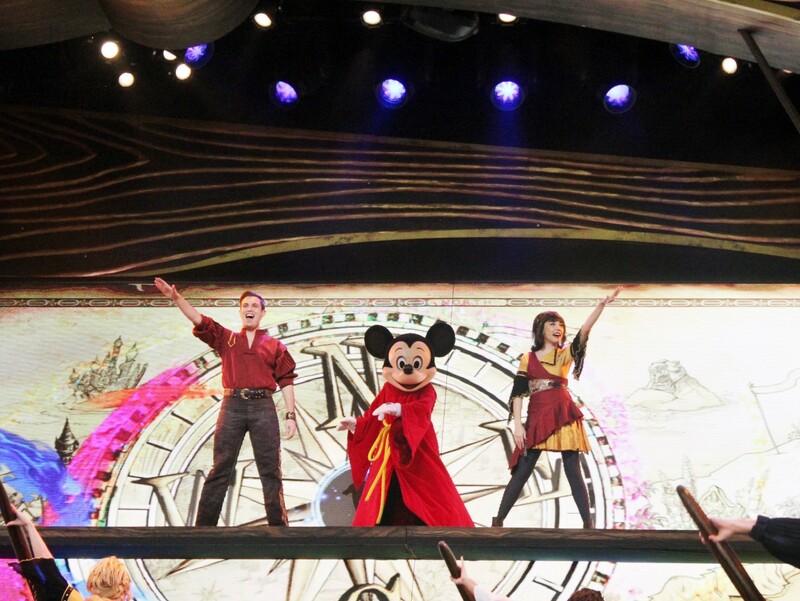 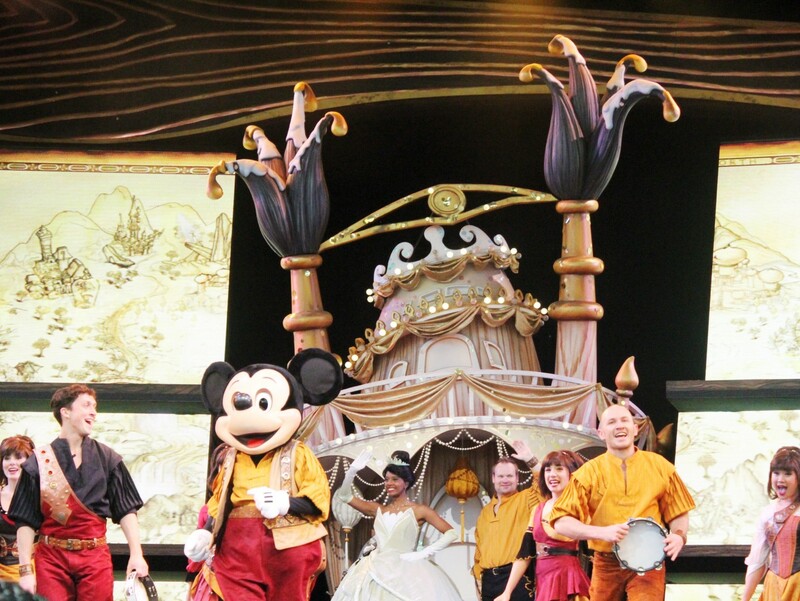 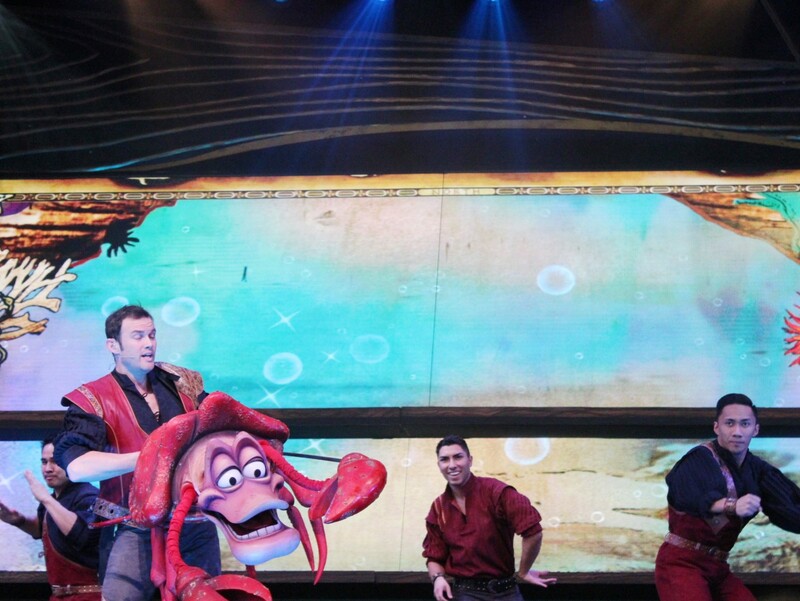 Mickey and the Magical Map is a 22-minute live musical show that first debuted at Disneyland back in 2013. 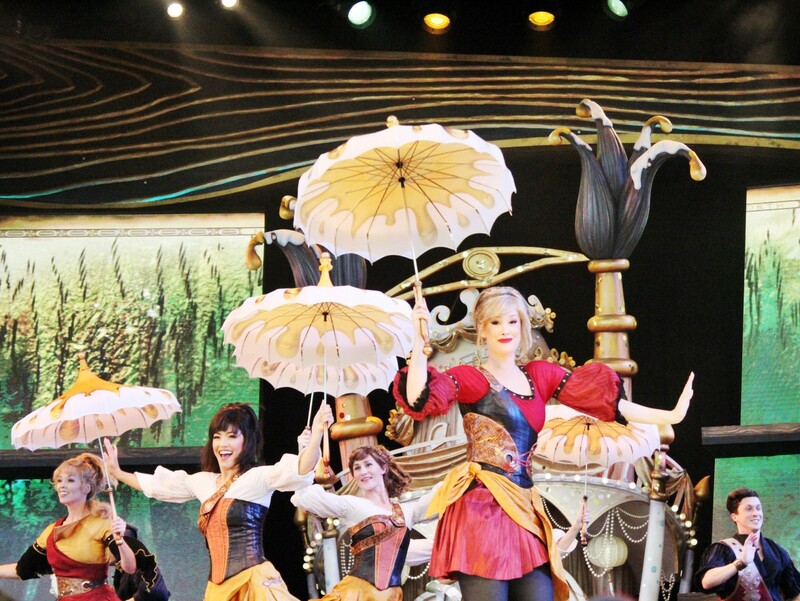 While this is NO Fantasmic and it doesn’t even come close to Disney World’s Beauty and the Beast stage show (which is located in Hollywood Studios), the singing, dancing and amazing performers definitely bring a certain charm to Mickey and the Magical Map. 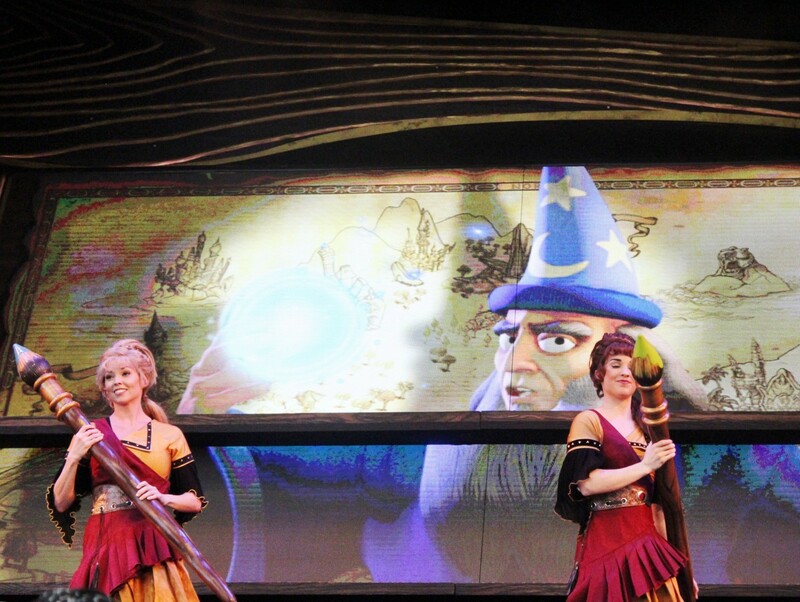 While the overall storyline of Mickey and the Magical map is so-so, it’s the unique song selections and homage to otherwise overlooked Disney films that makes it a must see in my opinion. 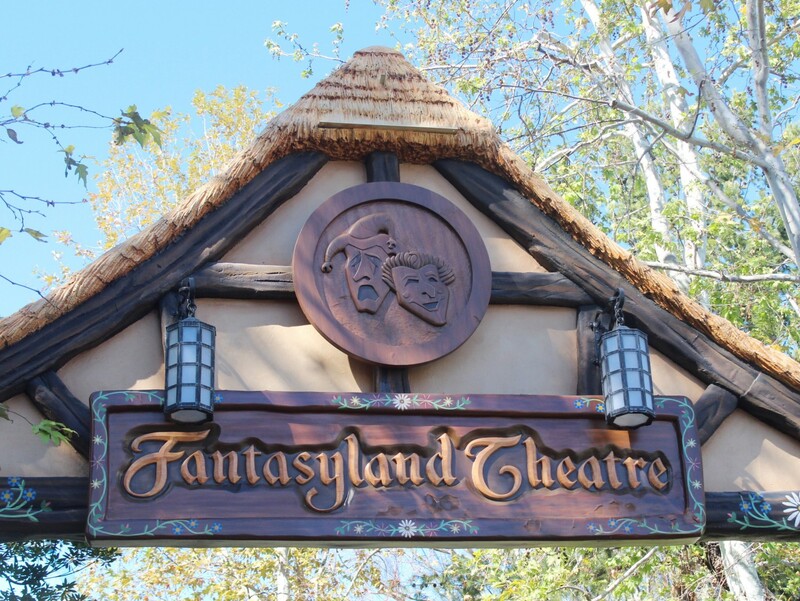 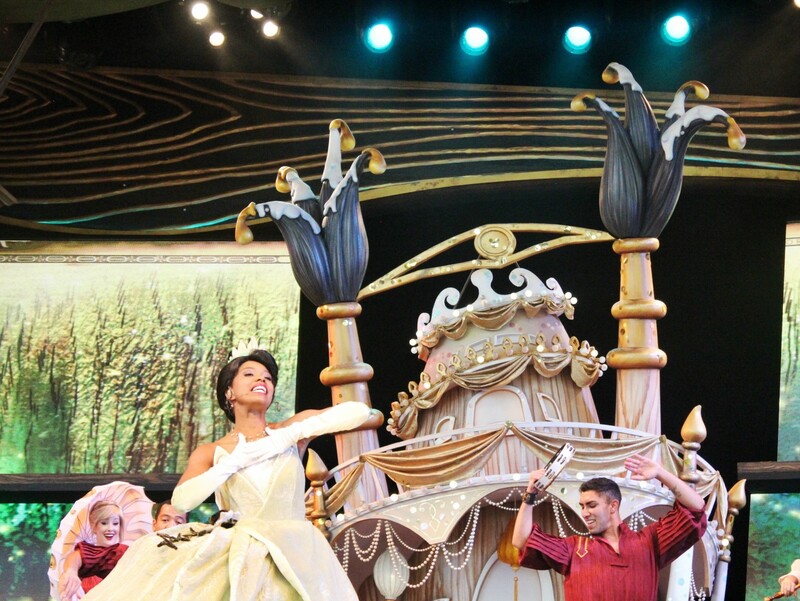 I would definitely suggest arriving at the Fantasyland Theatre at least 30-45 minutes prior to the show. 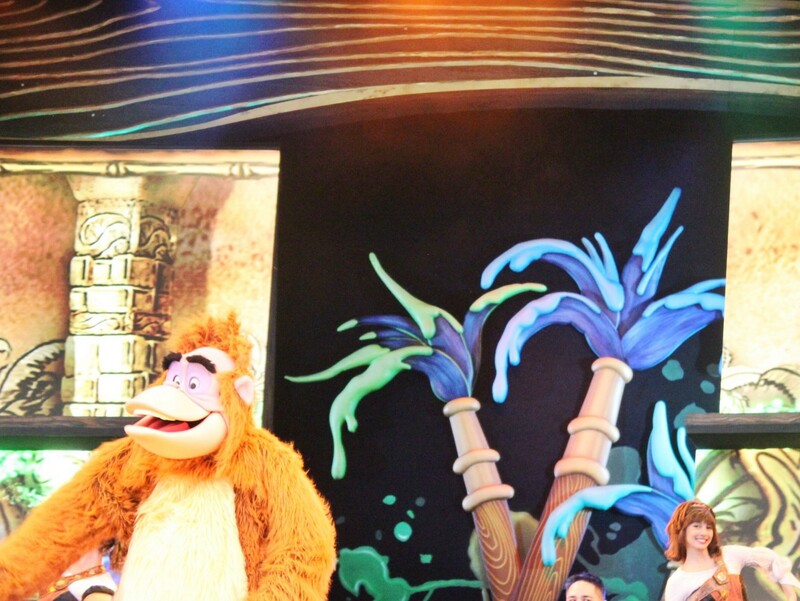 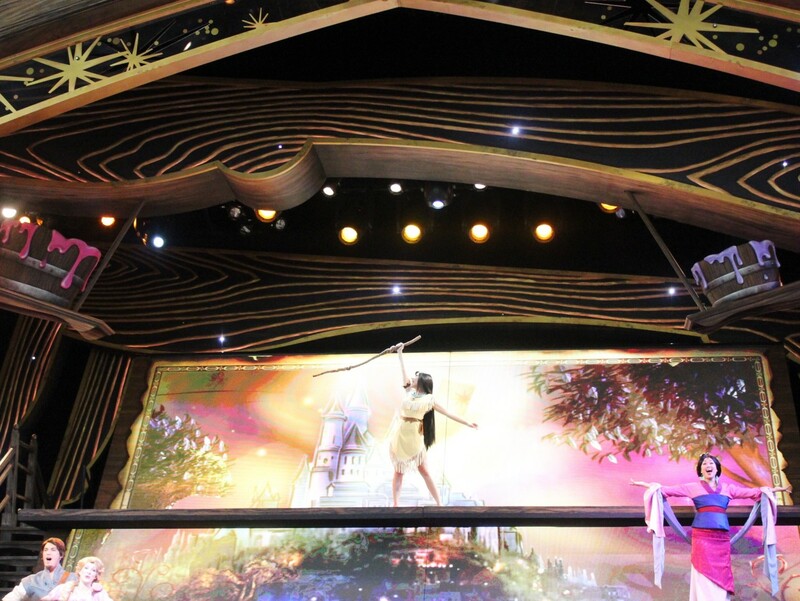 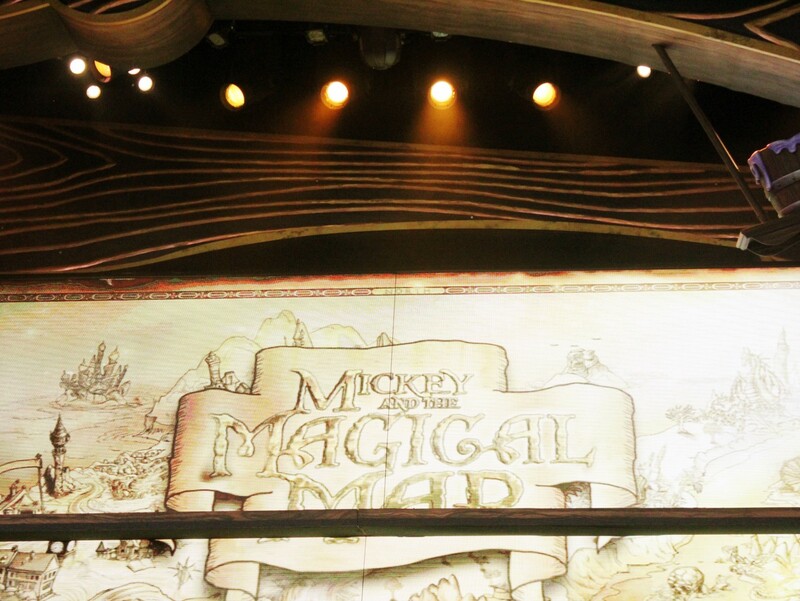 Mickey and the Magical Map performances often fill up fast and I personally prefer to get seats closer to the stage. 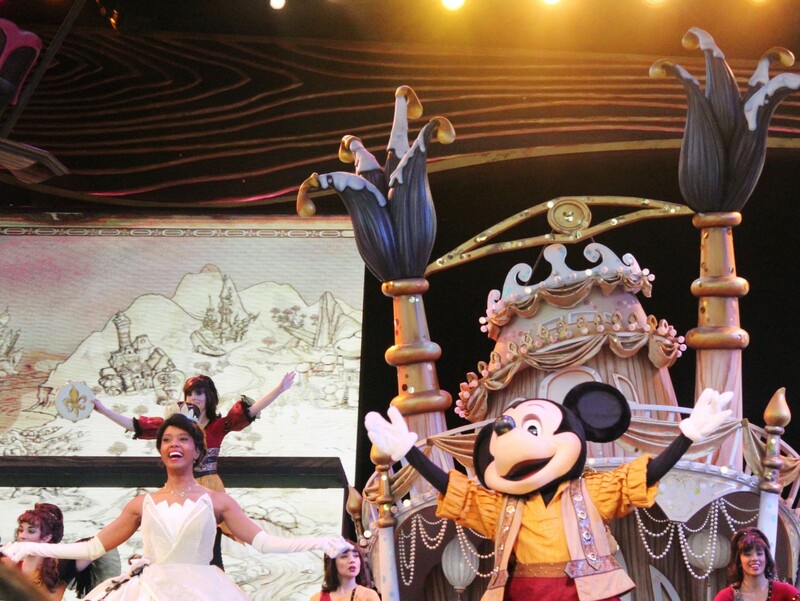 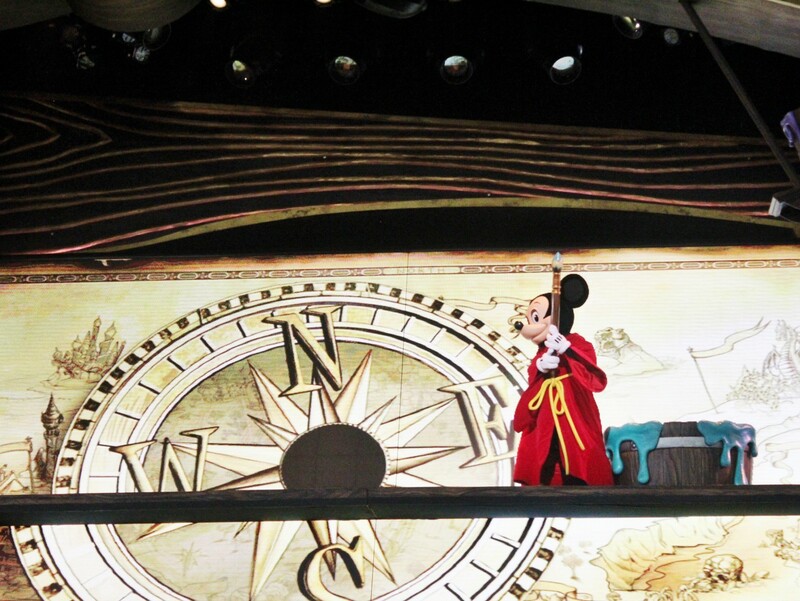 Mickey and the Magical Map tells the story of sorcerer Yen Sid and his apprentice Mickey Mouse. 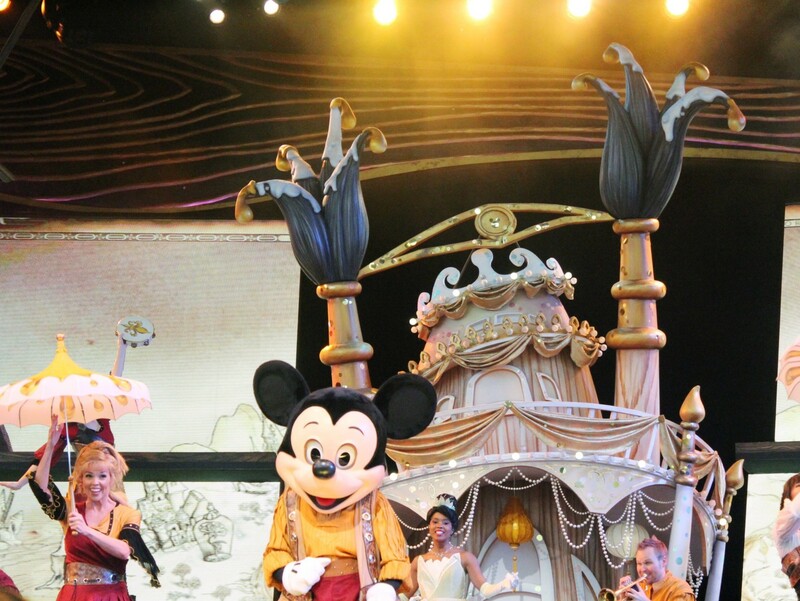 Mickey dreams of one day becoming an official map painter but when he tries to paint a mysterious black ink blot, he’s suddenly taken on a musical journey through the magical map. 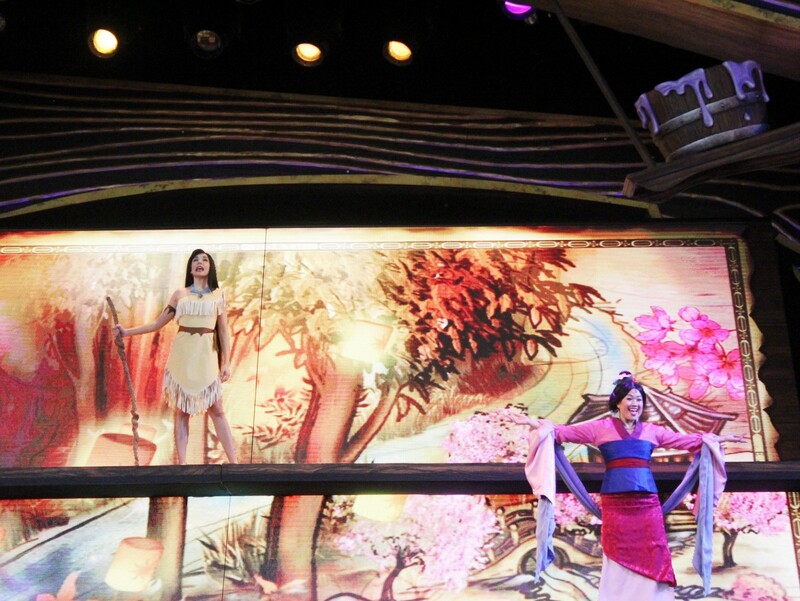 Next comes my FAVORITE part of the entire show, a princess medley from three of my favorite princesses: Pocahontas, Mulan and Rapunzel. 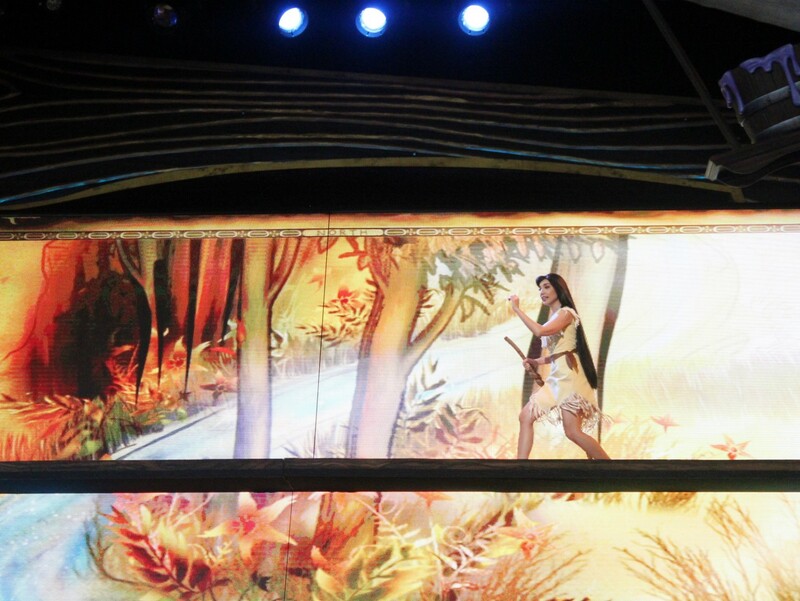 When Pocahontas steps on stage to perform “Just Around the River Bend,” I can’t help but be filled with emotion (Pocahontas was the first Disney film I vividly remember seeing in theaters when I was just three years old!). 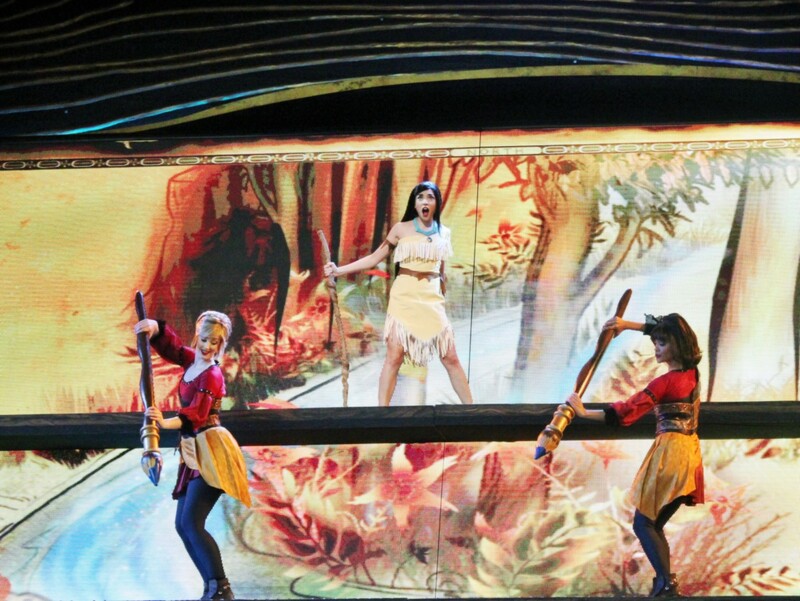 I mean, how often does Pocahontas get any attention? 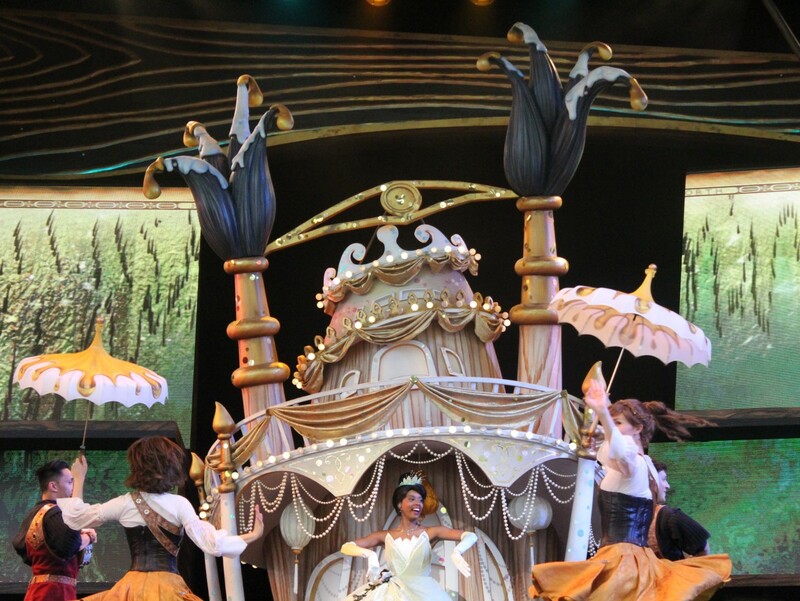 I LOVE that they included such an underrated (and awesome) princess in this show! 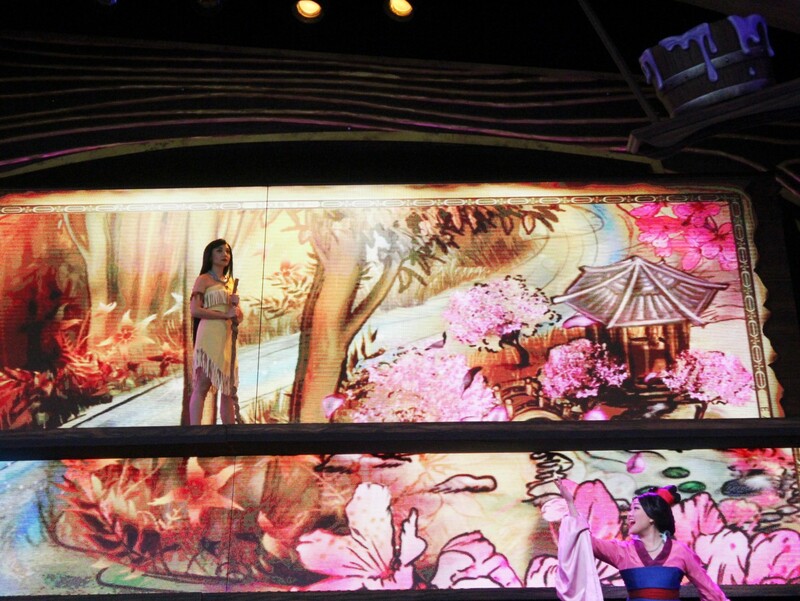 Mulan continues the princess medley with a gorgeous rendition of “Reflection.” I LOVE Mulan so much and to see her and Pocahontas share a stage is truly magical! 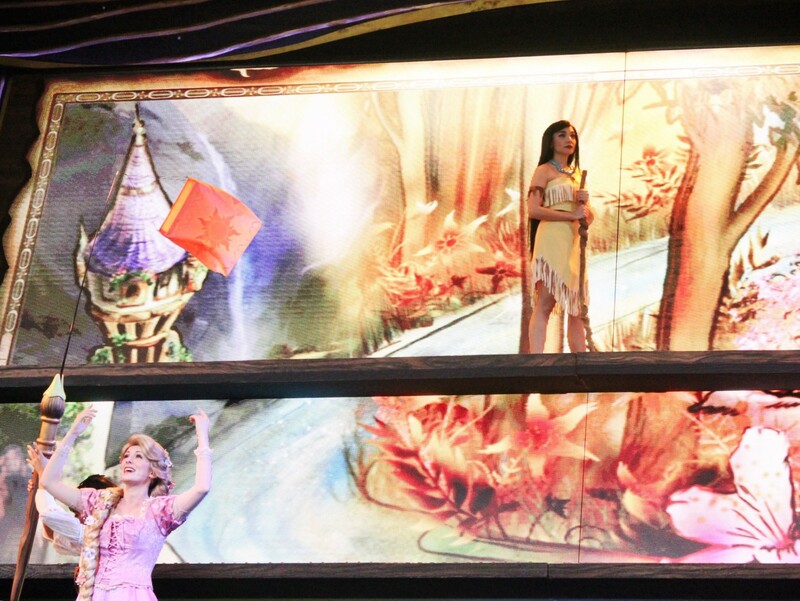 Rounding out the princess medley is Rapunzel and Flynn Rider with “I See the Light” (I seriously don’t understand how this song isn’t as popular as “Let it Go,” it’s such a GORGEOUS song and scene!). 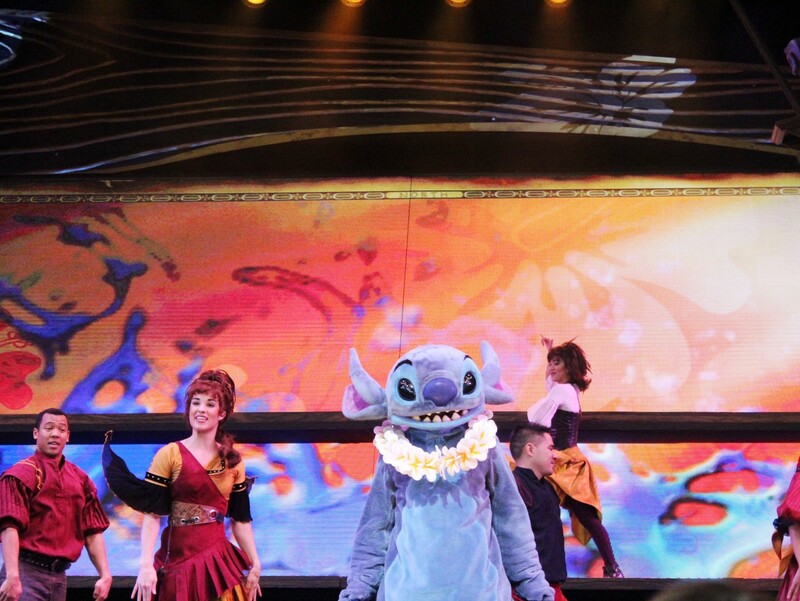 While I wouldn’t consider Lilo & Stitch to be an underrated Disney film (who doesn’t love Lilo & Stitch?! 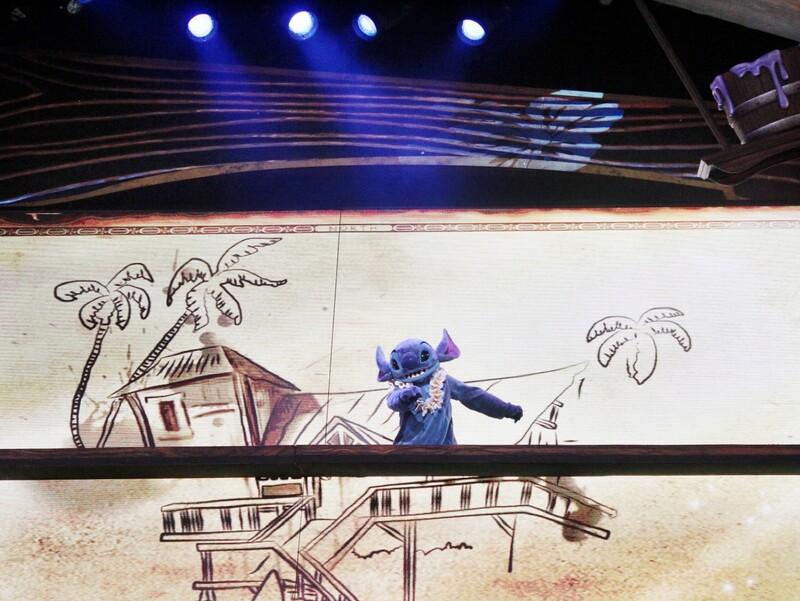 ), the music in the film definitely is (raise your hand if you know all the words to “He Mele No Lilo!”.) 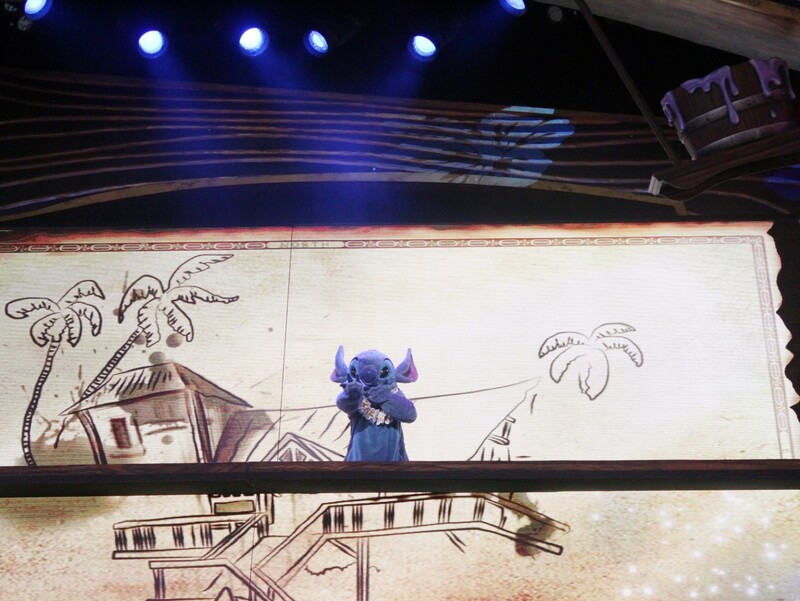 Lilo & Stitch is one of my favorite films and it will ALWAYS have a special place in my heart (my mom’s name is Lilo after all!). 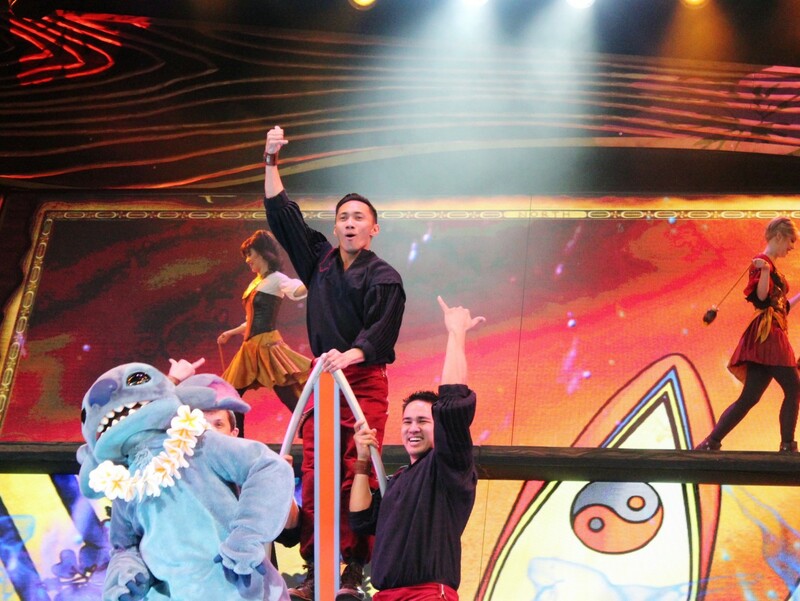 “Hawaiian Roller Coaster Ride” never fails to put a smile on my face! 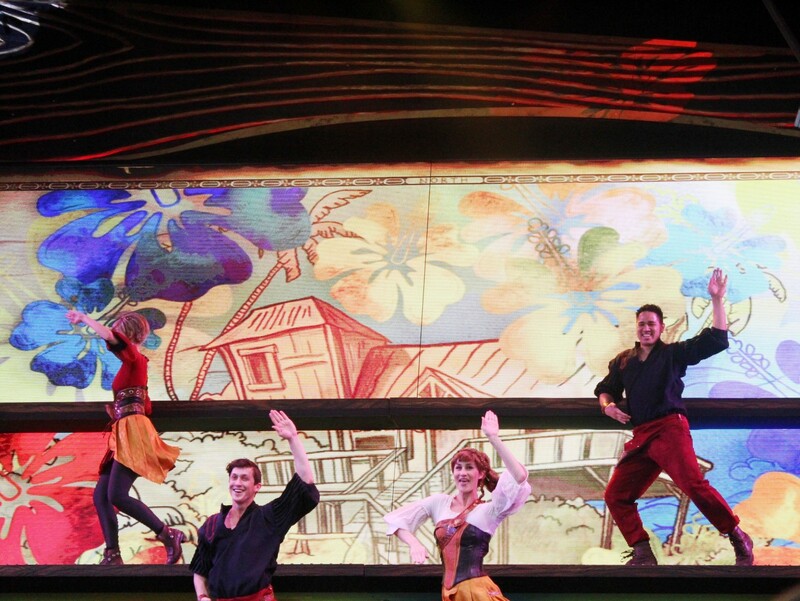 Mickey and the Magical Map concludes with “Dig a Little Deeper” from The Princess & the Frog (another highly underrated Disney film). 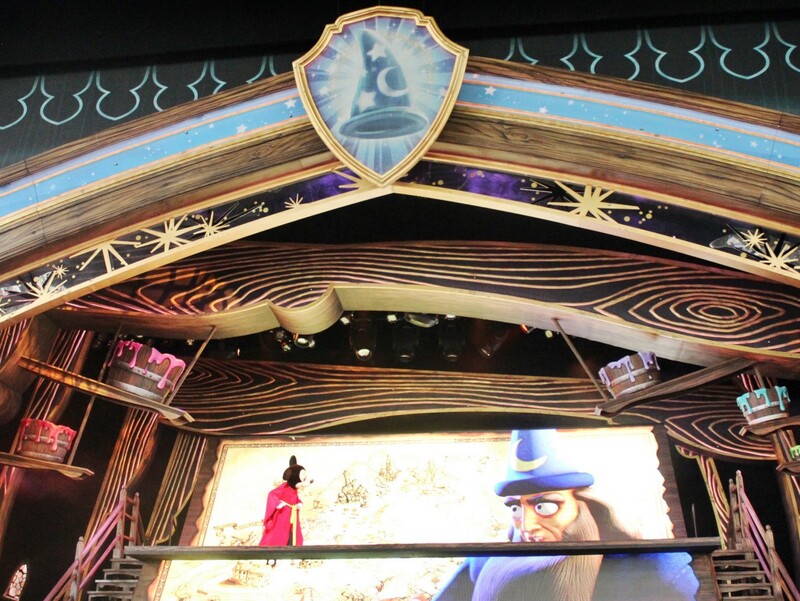 Talk about a showstopper!